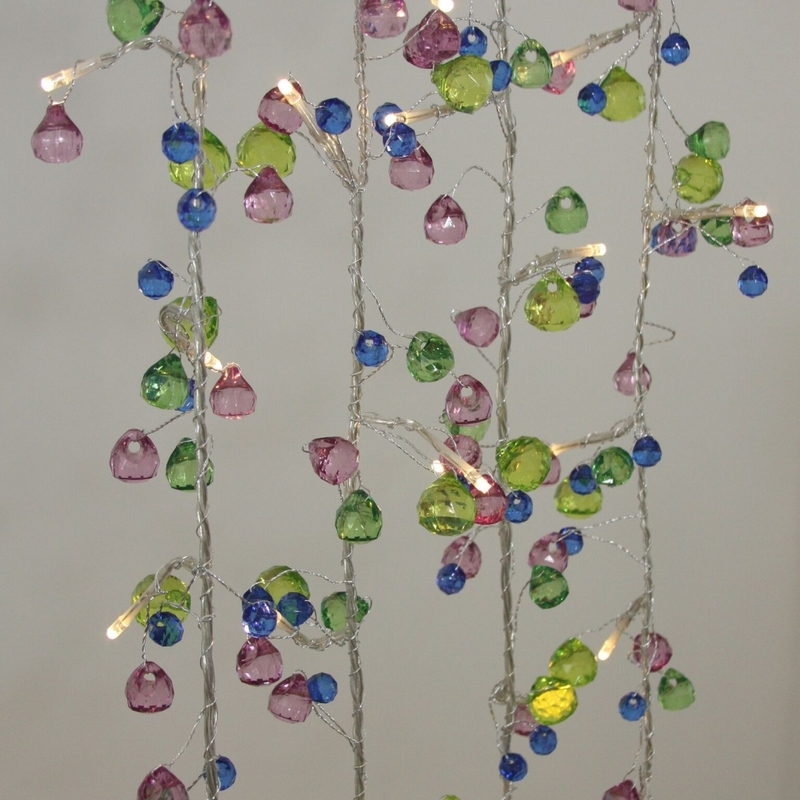 Wonderfully colourful, these Aqua Chic LED string lights will add sparkle and glitz to any home or occasion. 2.2 metres in length with 27 Warm White LEDs and blue, green and purple acrylic crystals, this light garland can be used on centrepieces, fireplaces and tables. Great looking, high quality and intended to last for years, these lights would be a lovely addition to the home and an ideal gift. The light chain is battery operated, so there is no need to find an electric socket.